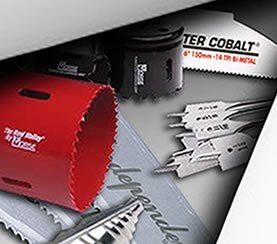 We sharpen just about any tool that gets dull, including circular saw blades, bandsaw blades, router bits, end mills, planer knives, granulator knives, slitters, chipper knives, multi-piece tooling sets, and more. We do not sharpen chain saw blades, as the labor rate doesn't make it cost effective. Find below our pricing structure for most repair work. If you don't see what you need, just contact us, and we'll see how we can help. Don't forget to ask about repeat business and quantity discounts, as well as pick-up and delivery services. Normal turn around time is 1 week. The pricing below is for carbide tipped circular saw blades, 20" and under in diameter. 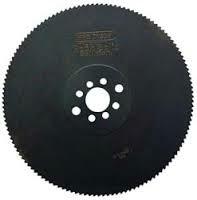 We can sharpen and repair carbide tipped circular saw blades up to 108" diameter. Blades over 20" in diameter are custom quoted, depending on application, quantity, and frequency. Please contact us for more information, or let us send you a quote today! We can sharpen and repair both High Speed Steel (HSS) circular saw blades, sometimes called "cold saw blades," and friction saw blades, sometimes called "hot saws." See the chart below for repair pricing, or visit our new blade page for pricing on new blades. Please contact us for more information, or let us send you a quote today! 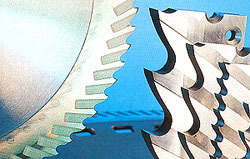 We can sharpen and repair segmental saw blades, which are used for cutting large pieces of metal. See the chart below for repair pricing, or visit our new blade page for pricing on new blades. Please contact us for more information, or let us send you a quote today! 26" (660 mm) $46.00 $56.00 48"-50"
Besides circular saw blade sharpening and repair, which is listed above, the chart below includes repair pricing on most other kinds of tooling we service. Please contact us for more information, or let us send you	a quote today!